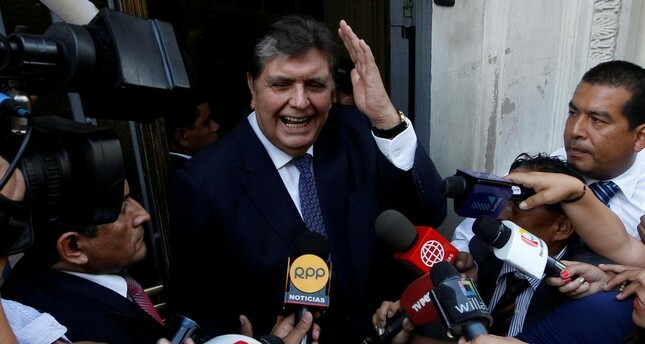 Peru's former president Alan Garcia died in a hospital in Lima on Wednesday after shooting himself as police arrived at his house to arrest him in connection with a bribery probe, authorities said on Wednesday. Garcia, who had repeatedly denied wrongdoing, was 69. President Martin Vizcarra said on Twitter that he was "consternated" by Garcia's death, and sent his condolences to his family members. Garcia, 69, underwent emergency surgery at the Casimiro Ulloa hospital and suffered three cardiac arrests, Health Minister Zulema Tomas said in broadcast comments. Local TV channel America had reported Garcia was in a coma and broadcast images of Garcia's son, supporters and lawmakers entering the hospital, where police in riot gear stood by. Garcia, a skilled orator who has led Peru's once-powerful Apra party for decades, governed as a nationalist from 1985 to 1990 before remaking himself as a free-market proponent and winning another five-year term in 2006.